There’s something about Barack Obama that induces Americans to imagine what they cannot see. The right envisions a vile socialist, while many on the left picture an inspired liberal, politically restrained in his first term but now free to pursue his true beliefs. No hard evidence exists to sustain either view. Obama behaves like a centrist who leans tentatively left on certain social programs but boldly right on military force and civil liberties. His supporters, who have watched him duplicate and codify some of the Bush administration’s most damaging civil liberties violations, are now reduced to wishful thinking that an authentic Obama will soon step forward and return the country to the constitutional footing that was abandoned after 9/11. Let us suppose that this respect for the Constitution, dormant during Obama’s first term, can be revived during his second. In that fanciful spirit, it is easy to compile a wish list of actions he might take, either by using his executive authority alone or by campaigning hard for Congress to reconsider portions of the Patriot Act, the amended Foreign Intelligence Surveillance Act, the use of military commissions and other measures. Since his re-election, however, he has done the opposite. In late December, he signed a five-year extension of FISA’s broadened surveillance powers without endorsing even the weakest requirements, which were voted down in the Senate, to keep Congress informed of rulings by the secret FISA court, and to report whether domestic communications had been intercepted. The trouble is the country’s state of mind. Giving up invasive counterterrorism tools still seems risky, and Obama’s interest in risk-taking lies elsewhere. In civil liberties, he does not try to shape the popular mood; instead, he succumbs to it. Even if a second-term Obama were inclined to work his way through an ambitious labyrinth of reforms, he might be impeded by the slow pace of history. In past episodes, the country has taken time to recover its balance after a spasm of fear. Only with the perceived threat gone and the egregious abuses exposed have courts ruled wisely and Americans looked back with shame on what they’d done. Judging by earlier deviations from constitutional protections in the name of national security, the conditions may not yet be ripe for the post-9/11 “war on terror” to release its grip on the Constitution. Five previous eras are instructive. The first four concluded following their respective wars: the political prosecutions under the 1798 Alien and Sedition Acts during the virtual war with France; the suspension of habeas corpus in the Civil War; the use of the Espionage Act of 1917 and the Sedition Act of 1918 to persecute dissenters during World War I; and the internment of ethnic Japanese citizens during World War II. It was only after the sense of danger had ended that the judicial and legislative branches stood taller. But will the danger of terrorism end—and if so, how? Certainly not with a clear victory or a treaty. In other countries at other times, it has faded gradually as the circumstances have shifted. And here, now? Perhaps if terrorism slowly declines, Americans will eventually notice its absence, and an evolving sensation of security will open the country to a reassessment of the post-9/11 measures. That was the pattern of the first four historical deviations. The lesson of the fifth episode is slightly different, and possibly more relevant. During the Cold War, from the 1950s into the ’70s, the government’s feverish surveillance and nasty tricks against peace groups and civil rights leaders were not brought to an end until they were publicly disclosed as excessive and illegal. It was not a sense of safety but of shock that moved the country—shock that the FBI had tried to blackmail Martin Luther King Jr. into committing suicide, had sent Black Panthers’ wives fabricated letters from nonexistent mistresses, had planted rumors to foment violence between street gangs and the Panthers, had been assisted by the CIA, the IRS and military intelligence to monitor and intimidate political dissidents. The misdeeds, documented by Senator Frank Church’s bipartisan committee, prompted real action: privacy laws and regulations aimed at shutting down politically motivated domestic surveillance. Many of those measures—most notably FISA in 1978—were then shot full of holes by the Patriot Act and other legislation following 9/11. Looking at this history, it is reasonable to think that the current era of abuse will not end without a blend of relative safety, public outrage and dispassionate investigation. That end seems a good distance away. Obama has already rejected the bright sunlight of public knowledge, which is democracy’s great disinfectant and cure. Although he released the Bush administration’s legal memos that clinically authorized specific torture techniques, his Justice Department has decided that the torturers themselves will not be prosecuted. Nor will a formal inquiry be launched to investigate and document the “enhanced interrogation techniques” used in the CIA’s secret prisons overseas, the “extraordinary rendition” of suspects seized in one country and spirited to another, the National Security Agency’s unlawful interception of communications inside the United States, the random jailing of Muslims immediately after 9/11 and a host of other abuses. Obama prefers to look forward, not back, as he has stated. So at least during his tenure, there will be no reliable record compiled as a cautionary tale for lawmakers and presidents in future times of crisis. This is the ahistorical Obama. But surely the introspective and worldly Obama—the man who crosses cultures and embraces nuance—has noticed that nations cannot look forward clearly without first looking back. South Africa, Rwanda, Cambodia, Russia and the former Yugoslavia all come to mind, and the roll call goes on in a drumbeat of wrongdoing and confrontation between past and future. America has heard no clamor for an accounting. Most book-length investigations are sparsely reviewed by newspapers, their authors mostly ignored by Diane Rehm, Terry Gross, Charlie Rose and the other serious talk-show hosts. The general public displays a nonchalant conviction that “others” are the targets of constitutional violations—not “us,” but rather Muslims, foreigners and terrorists. “I’m happy to give up your rights for my safety” seems the conventional view, an insular cynicism that carries easily into Congress, which has no stomach for investigation either. The Senate Intelligence Committee examined torture, but in secret, without the public hearings essential to citizens’ education. And its 6,000-page report, approved by a 9-6 party-line vote in December, is being censored before release by the CIA and other government agencies with strong motives to suppress the ugly details. But first the terrible things would have to become known, and they would have to be perceived as terrible. One ongoing investigation has that potential. In 2010, the FBI raided the homes of seven antiwar activists in Chicago, Grand Rapids and Minneapolis, carting off boxes of personal letters, children’s drawings, computers, political posters and other materials. FBI agents questioned other leftists in Michigan, Wisconsin, California and North Carolina, and served grand jury subpoenas on a total of twenty-three people, at least some of whom had traveled to the Middle East to meet with a Palestinian women’s group possibly linked to the Popular Front for the Liberation of Palestine (PFLP), and to Colombia to meet with FARC (the Revolutionary Armed Forces of Colombia), which are both on the State Department’s list of terrorist organizations. All those people subpoenaed refused to testify, citing their Fifth Amendment right against self-incrimination. At issue may be the vaguely worded federal prohibition against providing “material support” to foreign terrorist groups. In 2010, the Supreme Court upheld the law as constitutional when it criminalizes speech that is being coordinated with such organizations—even if it takes the form of advice on using nonviolence and respecting international law. No indictments have been brought as of this writing, but at least eleven members of Congress, sixty-two Minnesota legislators and various labor union leaders have already warned the FBI about the specter of a political prosecution. Senator Obama voted in 2008 to amend FISA in a way that virtually legalizes the sort of widespread intercepts, with minimal judicial oversight, that Democrats had denounced the Bush administration for secretly initiating in 2001. Now President Obama presides over the same permissive system, only recently extended for another five years. But those who are not brought before military commissions or civilian courts—including Americans abroad whose names are placed on a kill list—have no rights. They are condemned to death by drone with no chance to contest the secret evidence against them, which may be as flawed as the intelligence leading to the Iraq War. Obama has ignored calls to cite some legal justification for taking on the extraordinary power of assassination, and he has also refused to open to scrutiny the secret selection process he has established. A wish list of actions to restore the Constitution and the rule of law to the country’s counterterrorism efforts runs the gamut from the esoteric to the obvious. It includes fulfilling Obama’s stated goal of closing Guantánamo and repatriating exonerated prisoners—moves that Congress has impeded by inserting restrictions into military funding bills that Obama finds awkward to veto. So as he signed the National Defense Authorization Act of 2013 in early January, he resorted to a signing statement asserting his constitutional authority to ignore the law’s obstacles to transferring inmates from the prisons at Guantánamo and Bagram airbase in Afghanistan. Obama could also reject indefinite imprisonment without trial. He could press Congress for an explicit prohibition against the military detention of any civilian seized in the United States—a power whose legality under current statute is the subject of debate. The list goes on and on. Return the country to the tight, pre-9/11 secret warrant requirements for electronic surveillance. Curtail the use of warrantless “national security letters.” Narrow the scope of what can be prosecuted as “material support” for terrorism. Stop invoking state secrecy to block lawsuits by torture victims. Halt the widespread infiltration of American Muslim communities. Use FBI sting operations more judiciously to avoid luring hapless wannabes into manufactured plots. Allow groups officially branded as terrorist organizations to see the evidence against them and mount fair challenges to being so designated. Appoint a commission with broad powers to investigate the abuses of the last decade. 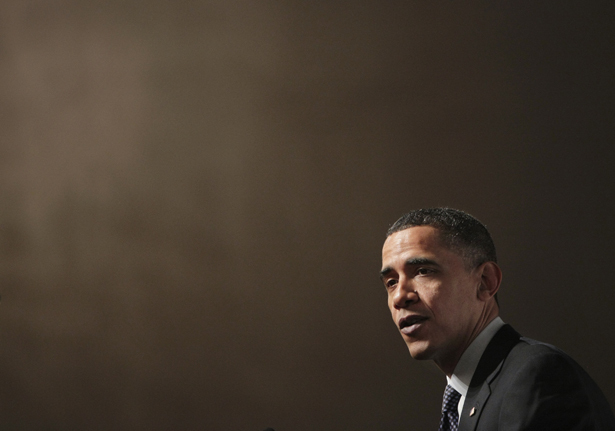 Beyond counterterrorism, Obama could initiate significant change. True immigration reform means more than visas and amnesty; it should grant constitutional rights to those jailed under an administrative system that now denies them the government-provided lawyers and due process available to criminal defendants. Ordinary criminal procedures having nothing to do with counterterrorism also stand in need of overhaul and presidential leadership. In its first term, the Obama administration took the wrong side on key issues: it opposed new rules on the timely disclosure of exculpatory evidence, for example, and argued unsuccessfully in the Supreme Court that police should be permitted to install GPS devices to track any vehicle without showing probable cause and getting a warrant, as required by the Fourth Amendment. In court cases, Obama’s Justice Department and solicitor general have endorsed expansive powers and unqualified immunity for intelligence and law enforcement personnel who violate citizens’ rights. If his second term resembles his first, Obama will leave the country with an inheritance more threatening than crime or terrorism. The danger lies in the enormous authority being provided to the executive branch, power that is increasingly embedded in statutes and case law. The president and Attorney General Eric Holder seem to be saying, “Trust us,” as when Obama declared that he would “not authorize the indefinite military detention without trial of American citizens”—even as he signed the National Defense Authorization Act, which may allow just that. Perhaps this president is a good guy at heart, but what about the next one… and the next?